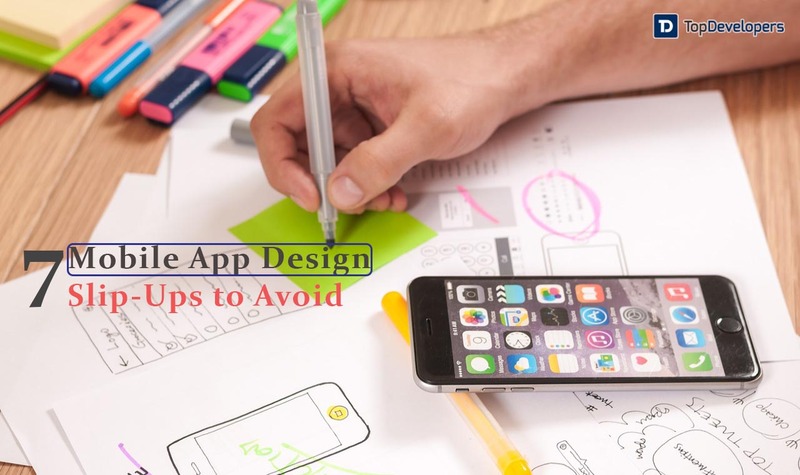 Mobile app design tips to help you avoid the most common designing errors and consider various criteria for UI design thus providing better user experience to help you maximize user engagement. Catching the eye on the App Store, even for the apps built with a right mix of must-haves, nice-to-haves, research, latest trends, and experimentation has become a daunting task. It’s because the mobile app market has reached a saturation point where the trends are changing the day after another. The apps downloaded won’t find more than 20% of the users returning to the app after its first use and after a month, the trivial number of the users keeps using the app. It’s displeasing, but the harsh reality of the app market. It takes just a few seconds for the users to shun the app if they found it imperfect, or not in line with their expectation in anyways. In such scenarios, neither compromising on the app’s quality is an option for the businesses nor the app’s success rate is acceptable. It emerges a series of questions like- Why the app loses their sight after a short tenure? Why the simplicity appears monotonous and graphic-rich design complex to the users? Why do the apps fail to maintain the consistency for the long term? How can the app packed with several features offer pleasing experience? The answer is clear. The apps which don’t mess up with the UI designing stay appealing, alluring and amazing to the userbase. However, during the app development and designing, there is a ton which goes wrong. Avoiding the design engineering mistakes across the board is important to make the app top the charts. To let your app live forever, the proficient team of designers has rounded up the top 7 mobile app UI design mistakes, which should be kept at arm’s length to enhance the user experience and maximize the business outcomes. Don’t design the app just for the sake of finishing the project, or based on the personal preferences. Yes, this is the top mistake that IT engineers make. The features, navigation structure, user interface and the graphic element must be incorporated into the app with a user-first approach and solve the user’s problem, instead of maintaining pace with the trends. The functions developed and designed must serve the purpose and delight the users as a coherent whole. Conveying the business vision quickly brings value to the app and communicates the best impression to the users. Joining the rat race don’t make any sense, in place, attempt to design the app idea that fills a niche or offer the distinctive service with a user-centered design approach. Very often, it’s deeply ingrained in the immature designers’ culture to create the aesthetic designs and add details to the app with the ‘designing for the designer’ mindset. Squarely, hopping onto the development bandwagon without looking into UX aspect, won’t let the UI design stand up to the user’s expectations. The imperfect details, poor navigation structure, and buggy logic make the user feel as if they are alien to the app. The excellent UX must be ensured while wireframe sketching that the flow, design elements, navigation structure would be liked by the users in the final launch or not. In the excitement of app designing, designers should stay careful to not skip the planning for the app’s UX. The app’s utility won’t depend on how many functionalities the app provides under the hood. Stuffing the app with a horde of features confuse and disorient the users just like the medicines overdose has its own side-effects. Make certain that the app should have limited features that serve the purpose for which the app is built. Unnecessary addition of the features simply ruins the app’s impression and interfere with the user experience because the users expect to get more in less. At first, gain the user’s trust with concise features and then in the future updates, add up new features, which also help in meeting the app development timeline. The app is always best-in-class from the designer’s point of view, but, the same is not necessary from the user’s perspective. Although the full-fledged solution is working well, this cannot be the event for all types of the users from different geographic locations, or demographics. The app’s interface must be designed in the user context which all the users find it simple to use, understand and navigate. Get going to know who your audience is- tech savvy, non-tech, new users, repetitive users or Millennials, then start designing the app as the app design heavily relies on the user context. For instance, the taxi booking apps provide an easy interface to the users where they can easily spot the booking button or view the nearby taxi drivers on the map after understanding the user context that they are most often in a hurry. The mobile app development doesn’t mean translating the web experiences onto the mobile screens. It’s not about scaling down everything, while it’s designing the app function, content, and navigation with the minimal strategy. Going forward, building the mobile app for different platforms is not an easy task as every platform has different design guidelines, patterns, and principles, which are less followed and that results in a buggy and unpolished app which don’t appear brilliantly on all the devices. The designers don’t have to change the mobile design for various platforms, but paying attention to the interface guidelines remove the design irregularity issues, which hurts the UX. You love it or hate it. But, the attempt of making the app unique, sometimes, makes it too overcomplicate that the app fails to strike a chord with the target audience. It’s because the users don’t like to sift through the screens and the aimless browsing drift the users to competitors. The designers should not try to put as many elements as they can on the screen, the reason being their artistic flavor doesn’t make the composition exciting. Playing with the design elements is good, but the experimentation with standard icons or symbol muddies the water as these visual cues become difficult-to-understand and the needless efforts clutter the screen and create the distractions which in due course, leads to design complexity. Design the app reductively and give the elements on the screen a room to breathe to keep the UI simple and intuitive. Appointing the in-house team for testing what’s missing or what’s wrong with your app is a good practice. But, these beta testers cannot be as efficient as the future app users to dig into the drafts. At first, by ignoring the beta testing, you are risking to launch an app that may flop. Secondly, not utilizing testing methodolgies efficiently to its full flow as the targeted audience would, again you risk app failure. This is so until the app won’t win the battleground in the trial process, how can you rest assured that the app will deliver what’s expected out of it. Let your app get beta tested in a public setting to see which elements sync well with the user’s needs. 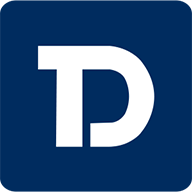 You can find out the beta testers from the public by sending out an ad for the beta testers, and app blogs or website reviews are also helpful at times. Additionally, avoid employing friends or colleagues as beta testers as they are susceptible to provide the critics honestly. Mobile app design is an important factor that could make it to the win or a lose condition. The reason that it directly deals with the users of the app. The design should be such that it should have the targeted users persona and avoid some of the most common mistakes of designing will go a long way to ensure that the app you developed connects with the users and also scores brownie points.